The American Brass Quintet has served as an Ensemble-in-Residence at The Juilliard School since 1987. At Juilliard, the ABQ is responsible for coordinating brass chamber music, providing coachings for each of the individual ensembles and presenting these ensembles in recital each semester. Other highlights of the residency include an annual recital at Lincoln Center. Individual members of the American Brass Quintet also serve on the Juilliard School Brass Faculty. American Brass Quintet Seminar dates and times are listed on our Events Calendar. If you are interested in attending a Seminar class, please contact us. 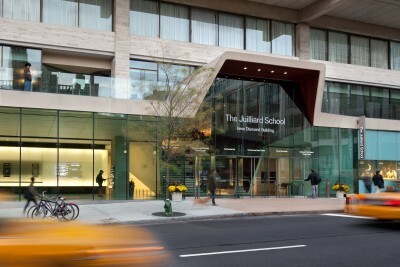 Also, please visit our Juilliard School page.